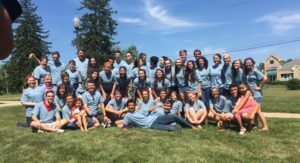 At CYM, we have THREE incredible opportunities for you to attend a retreat! A retreat is a way to take a step back from life in order to encounter God. You will have the chance to explore your faith alongside your friends and a supportive retreat team. All retreats are open to all high-schoolers, not just Confirmation candidates. 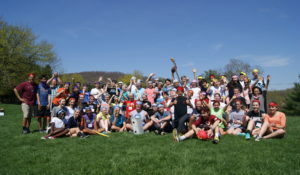 Ideally, you will experience all 3 retreats in your high-school career, either as a retreatant or a team member. Consider the options below. Non-Confirmation Students: Registration for retreats are NOW OPEN until 2 weeks prior to retreat date. Look below at the available retreat and information sheets to decide which one is the best fit for you. Send in your $ and form to Luisa Palting to reserve your spot. (Must receive registration 2 weeks before each retreat date.) You will be placed on the retreat of your choice on a space-available basis and a confirmation will be sent to you. We must receive your registration, fees and permission form 2 weeks prior to retreat date. Make sure you have already registered for Confirmation. Please email Luisa to get a registration link. You will receive confirmation from the CYM office which retreat you will be placed on. 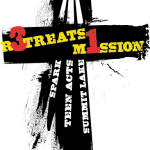 Once you receive an email that you are confirmed on a retreat, submit the appropriate permission form (and additional fee for Summit Lake and Teen ACTS only) to Luisa Palting at St. Louis by February 25. Please do not submit a permission form/fee until you’ve received a confirmation email. If you do not receive an email by Feb. 15, please email Luisa at lpalting@stlouisparish.org. If you are a Confirmation student and have missed the retreat registration window, please contact Luisa. lpalting@stlouisparish.org or 410-531-6668. What to expect: A 24-hour retreat experience at Msgr. O’Dwyer Retreat House in Sparks, MD. 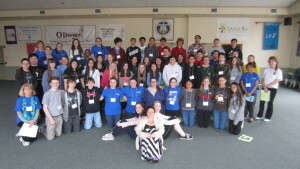 This retreat primarily serves Confirmation students, but all high-schoolers are invited. Encounter Jesus through prayers and activities centered around identity, community and mission. Confirmation fee: NONE. The fee for this retreat is covered in your Confirmation program fee. What to expect: An outdoor-oriented 2-night retreat held at Summit Lake Camp in Emmitsburg, MD. This retreat is open to all high-schoolers, including Confirmation students, and is a deeper look at one’s relationship with God, self and others, and our response to that relationship. What to expect: A 3-day/3-night immersive retreat experience at Msgr. O’Dwyer Retreat House in Sparks, MD. 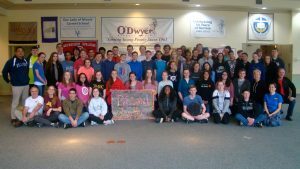 This retreat is open to all high-schoolers, including Confirmation students, and is a deeper-dive personal encounter with Christ through the themes of Adoration, Community, Theology and Service (ACTS). To register, fill out the permission form below and send form and fee to CYM Office/Teen ACTS. Cost should not prevent anyone from attending a retreat. If you need to discuss payment options or scholarship, please contact the CYM office. 410.531.6668. Fun Friday scheduled for tonight is cancelled. Those who bought a ticket can be reimbursed by contacting Meg at 410-531-6668 or mclarke@stlouisparish.org.